Can be easily concealed/hidden behind the surface. Easy to install in tight spaces. Small, flat (low profile). Easy to deploy and use. Stick it on the surface, to deploy your touch sensitive button. Works with a lot of material. Through a glass, plastic and metal surface. 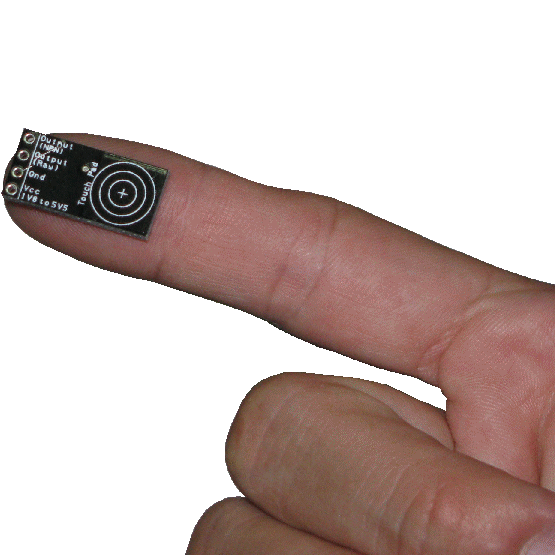 Touch sensitivity can be increased by with a higher capacitance Cs. Cs value can range from 2 – 50nF. 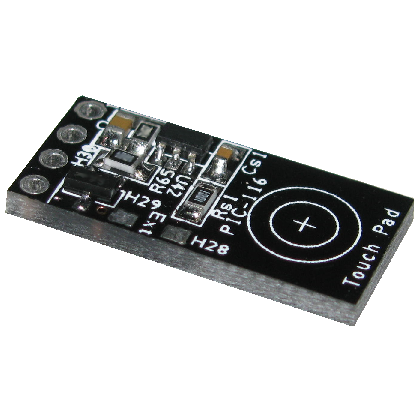 Touch surface can be extended to an external surface by soldering the interface to H1 pad. Refer to I/O Interface Wiring Guide for other types of wiring for interfacing to electronic I/O, high current or high voltage devices. Get the documentation for PIC-116 product here. 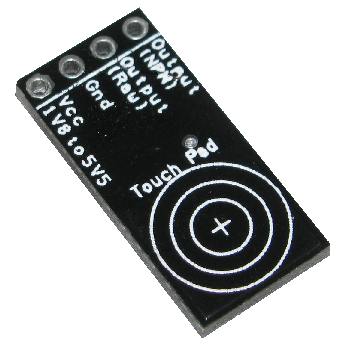 You can also buy PIC-116 Mini Touch Sensor from our online store.